Gill family started forestry based business in Canada. We gradually worked in various roles of being broker, loggers, forwarders and now we are exporting from USA, Canada, and South America and New Zealand. We are one of the fastest growing company in Canada We are aiming to do 6-8 shipload per year in 2012 and then gradually do one shipload per month from USA , Canada and South America and New Zealand. Currently, Gill Timbers International Ltd is working with SHIPLOADS to CHINA and INDIA and we are working with various plantation owners and forest owners. Gill Timbers International Ltd is looking for more suppliers who have plantations and own forest. We have our own infrastructure in North and South American countries and we supply LOGS, KD-HT-S4S timber and lumber to various countries. We are already supplying to China, India, Middle East and South East Asia. Gill Timbers International Ltd is looking for long term business relations with manufacturers , wholesalers, traders and agents in forestry secrors world wide. Gill timbers is slowly slowly gaining reputation among buyers and this is due to hard work and dedication of GILL FAMILY. GILL FAMILY is making efforts to provide quality wood to buyers and very soon going to explore possibilities of business in other countries too. We are looking for long term business relationships as quality and quantity is assured. At present we have various sizes of COASTAL DOUGLAS FIR, WESTERN HEMLOCK , SOUTHERN YELLOW PINE, RIVER RED GUM , RADIATA PINE, NEWZEALAND PINE, TAEDA PINE, SPRUCE, EUCALYPTUS, WESTERN CEDAR, ALDER, OAK, WALNUT, and SPRUCE. Gill Timbers Service is a complete wholesale lumber / wood distribution yard. We had served International lumber yards and industrial customers with quality products and exceptional service. 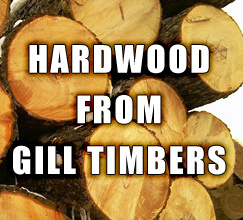 Gill Timbers sells by the container[s] - and all products are available to your specifications. Special lengths and dimensions are available by order. So, all buyers who require quality and quanity may communicate directly on Phone numbers provided in this website.We are waiting for your contact. We are exporting KD-HT, Air dried and fresh cut lumber of almost all species found in Canda, USA and South America. We are supplying Douglas Fir, Hemlock, SPF, Southern Yellow Pine, Read-Oak, White Oak, Walnut, Cherry, Cedar and Teak.